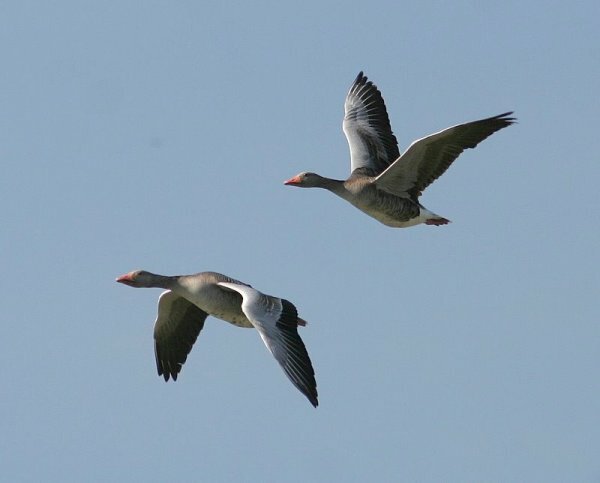 The Greylag Goose is distributed throughout most of Europe and across southern Siberia and central Asia as far as the Pacific. 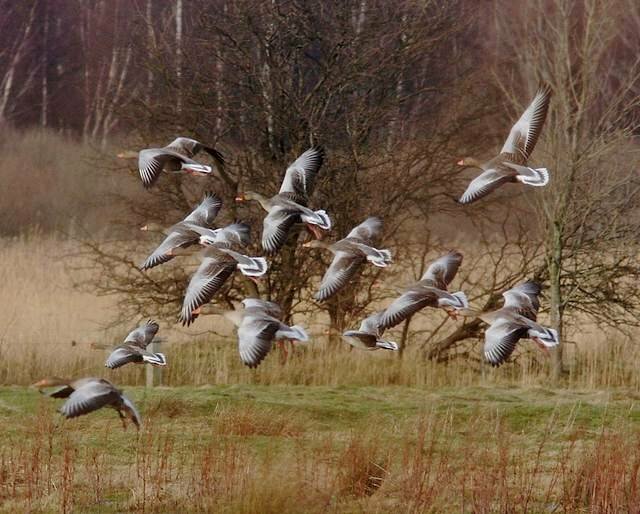 influx of birds from Iceland that overwinter in Britain. as well as Poland and Germany. 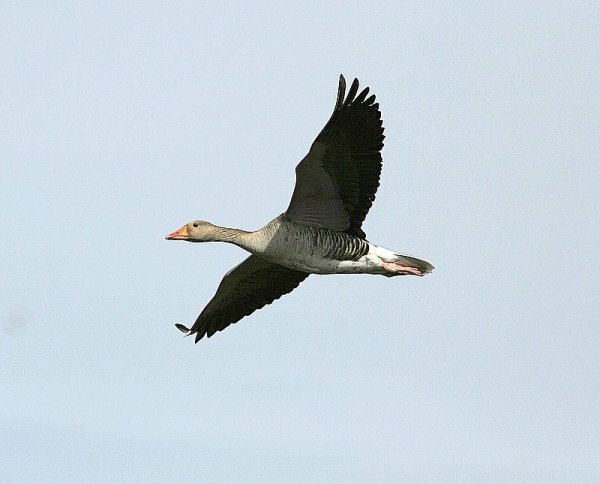 The Iceland birds migrate in autumn to the British Isles, and usually arrive in October. 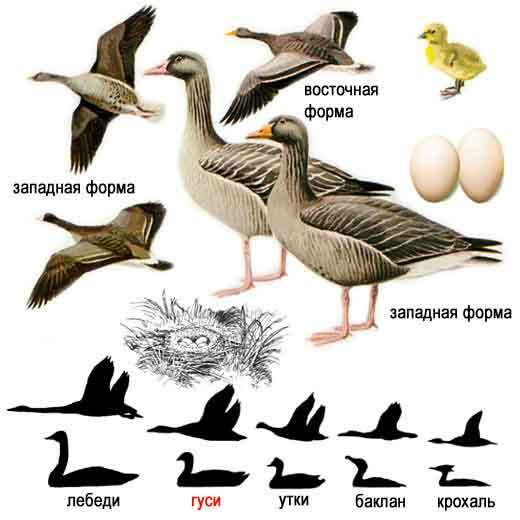 The mass of the birds tends to be in the range of 2500 to 4100 g.
Lifespan may reach as much as 21 years. belly, and grayish shading on the lower breast. Similar to all of this is the neck and the head. It has an orange, large bill. The feet and legs are flesh tissue colored, and in most adults there is spotting and blotching in most adults. Young birds do not have this characteristic, and have grayish legs..
and in about eight weeks they are fully independent. 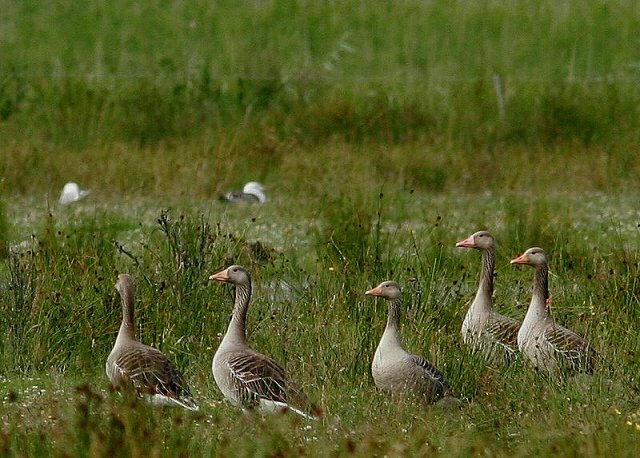 Sociable by nature, the Greylag geese occur in different size groups, from small families to flocks that go up to the thousands. stubbles, and different kinds of root crops, as well as turnips, carrots, and potatoes.